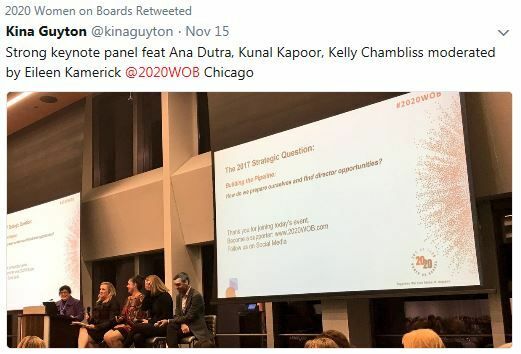 The Chicago Campaign of 2020 Women on Boards, a national organization that aims to boost female representation on corporate boards to 20 percent or greater by the year 2020, recognized Associated Bank on November 15 as one of eight Chicago-area companies for leadership in gender diversity on their boards. The other recipient companies include Abbott, the Allstate Corp., Deloitte LLP, Arthur J. Gallagher & Co., Ingredion Inc., McDonald’s Corp. and The Metropolitan. Through 2016, Associated has achieved board representation of at least 20 percent women for the past six years or more.